While it’s definitely important for supervisors to give recognition to their employees, appreciation from colleagues is equally vital. Our research found that the number one reason employees push themselves to go the extra mile at work is their coworkers. SHRM and Globoforce found that 57% of companies that use peer recognition have seen increased employee engagement. Yet our data shows that just 21% of employees feel strongly valued at work. Thankfully, this can be turned around. Even though peer recognition comes from coworkers, companies can play a role too. 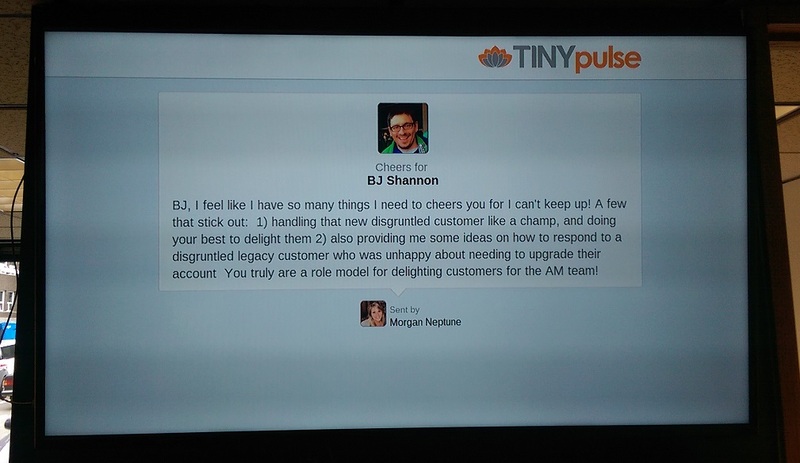 TINYpulse’s tool, Cheers for Peers, makes it easy for organizations to facilitate mutual appreciation in their workforce. 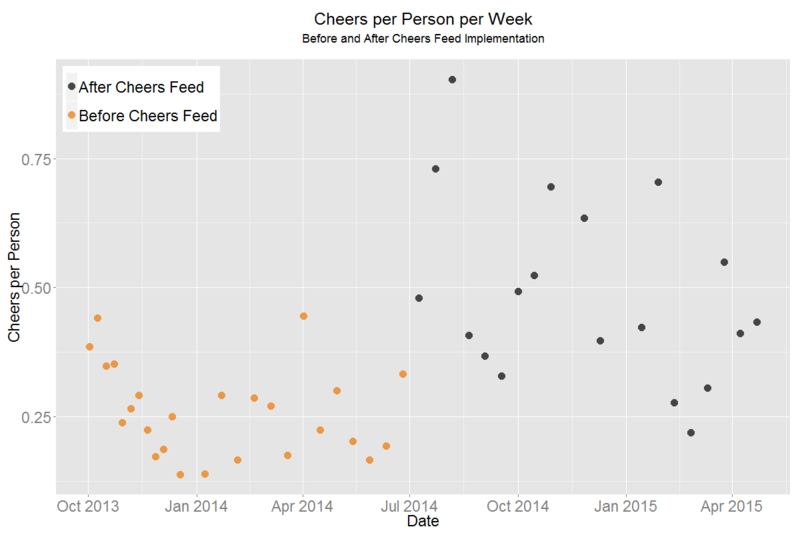 The most effective way TINYpulse clients have leveraged the tool is to broadcast the Cheers for Peers API. By digitally displaying the recognition employees give to one another, the entire company can see each other’s accomplishments. Does a little showing off make employees more excited about peer recognition? Our data says yes! We analyzed one company’s Cheers for Peers participation over 49 weeks and found a statistically significant increase in Cheers (p < .001, Cohen’s d=1 .55) after implementing the broadcast. A little advertisement goes a long way. When organizations encourage peer recognition by publicizing it with the Cheers for Peers API, they take it from a one-on-one interaction and transform it into a part of the company-wide culture. This is why Cheers for Peers is a vital part of TINYpulse. By baking it into our survey tool, we remind employees to give each other kudos just as often as they give their company feedback. The power of peer recognition can’t be underestimated. It’s a great way to leverage your own workforce to crowdsource employee appreciation. A convenient tool like Cheers for Peers lets you tap into this resource, while using the API for promotion amplifies the benefits even more. You win happier, more engaged workers, and in turn they get to enjoy a culture of positivity and support.